After posting this photo to instagram a few weeks back (follow me on insta @prepinyourstep) everyone was dying for me to post the colors on my blog! So to make this less like a list I decided to number the polishes. These are some of my favorite summer polishes that I own! 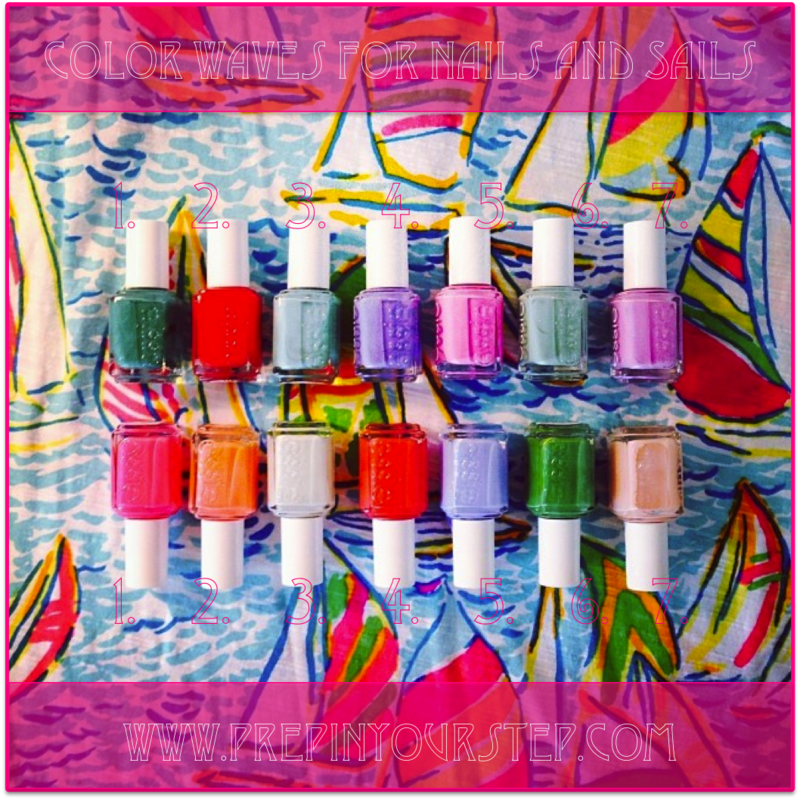 What are your favorite summer nail polish colors? I want to add Marshmallow to my collection next! Essie Watermelon is my go-to color all year! Essie is the greatest! I love the cute little packaging and they have the best colors. Great colors! I will definitely have to check some of these out soon! Essie polish is the best! I wish I had the talent to create a Lilly print on my nails! I love those colors! I have quite a few of those colors... Bikini so Teeny is one of my favorites!